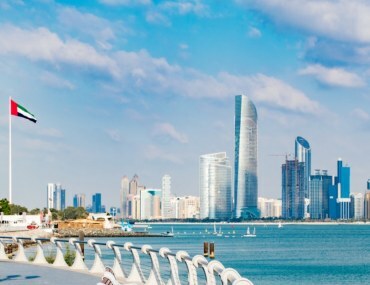 Dubai is all about man-made wonders and living in a Spanish-style garden villa with a cool view of a deep blue lake (all in an Arabian desert) is one of them. You can get such residential options in Jumeirah Islands and our latest House of the Week is also from the same locality. If you are unaware of Jumeirah Islands, let us tell you about this amazing residential locality. It is a picturesque, self-contained community comprising 50 islands and featuring luxury villas with surroundings of dynamic water currents and crystal waterfalls. 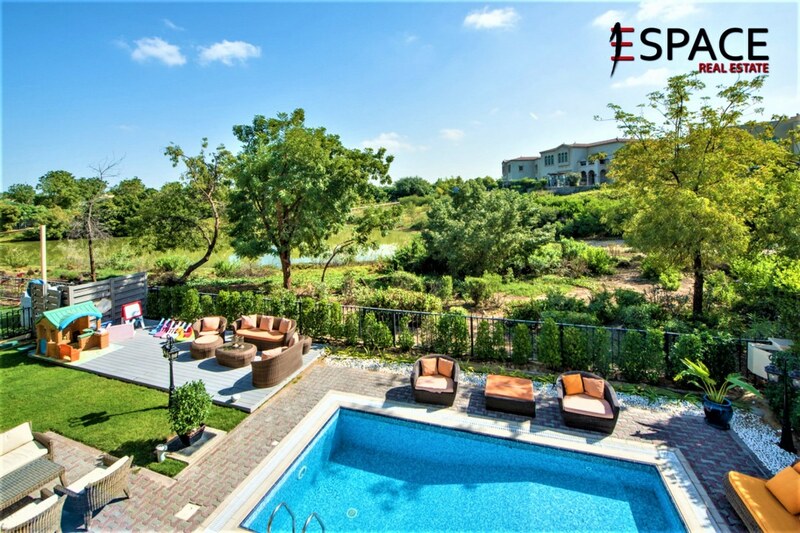 The residential locality has 736 villas and they all feature a private swimming pool. 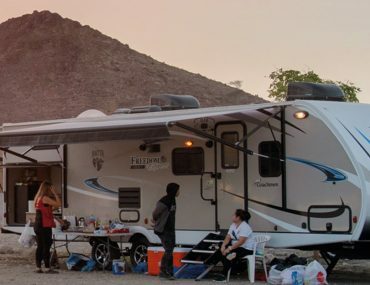 The lush green landscaping, quaint walkways, bridges and paths in this residential community can make anyone forget that they are living in a desert city. 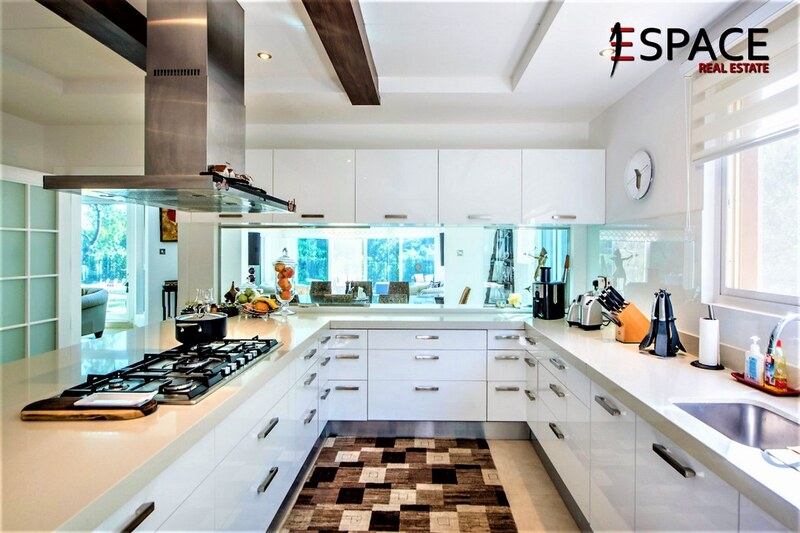 Set amidst this lovely environment, is our House of the Week; a high-end, very rare, Spanish Garden Hall Villa with lake view marketed by Espace Real Estate. Comprising a BUA of 5,300 square feet, this marvellous villa offers an extended and upgraded open plan living/dining area that features a striking staircase leading to the first floor. The villa comes complete with a breakfast room with easy access to the kitchen and offers separate servant quarters. It is built on a spacious 10,650 square feet plot that backs directly onto the lovely blue Lake. 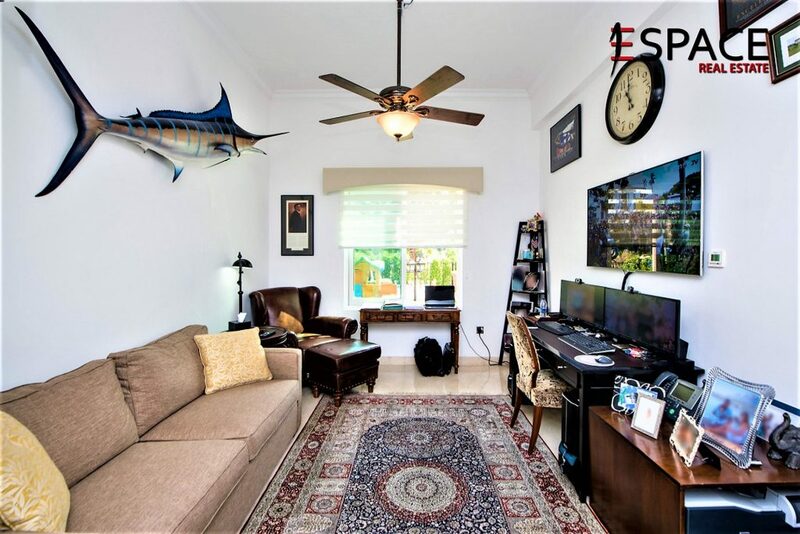 The living areas of this villa comprise four bedrooms that have all been upgraded to offer you the best lifestyle available in Dubai. With one bedroom on the ground floor, the first floor of this villa houses 3 bedrooms and a separate study area. The high ceiling and large floor to ceiling windows allow the Spanish Garden Hall to usher in and spread natural light throughout the villa. 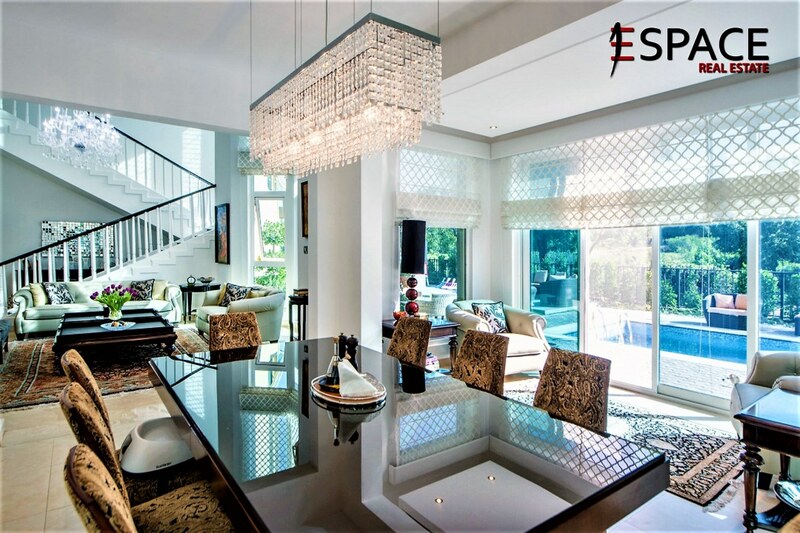 This gives a feeling of space and grandeur to the villa and makes a very rare residential unit in Jumeirah Islands. 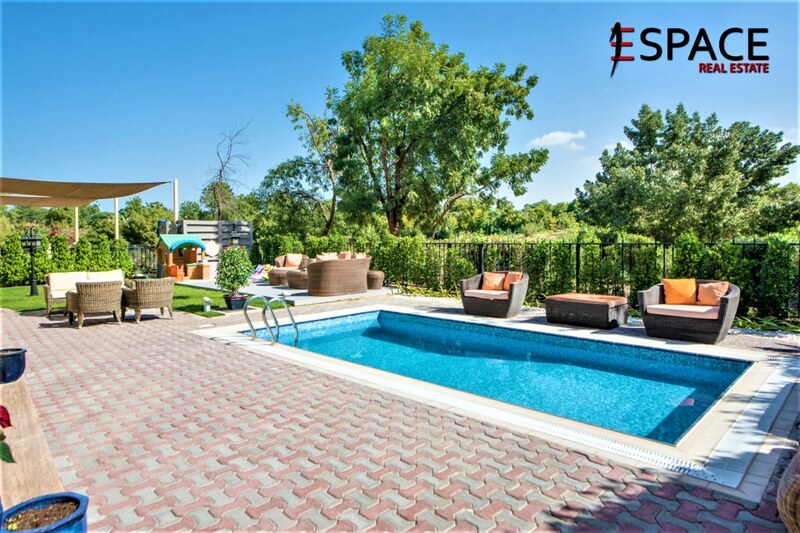 The property is ideal for families who love views of clear lakes shimmering in the golden sunlight and spending cool afternoons in the swimming pool. Offering a natural sanctuary, the villa complements its luxury environment with a private landscaped garden. Love cars? The villa also offers four car garage spaces. 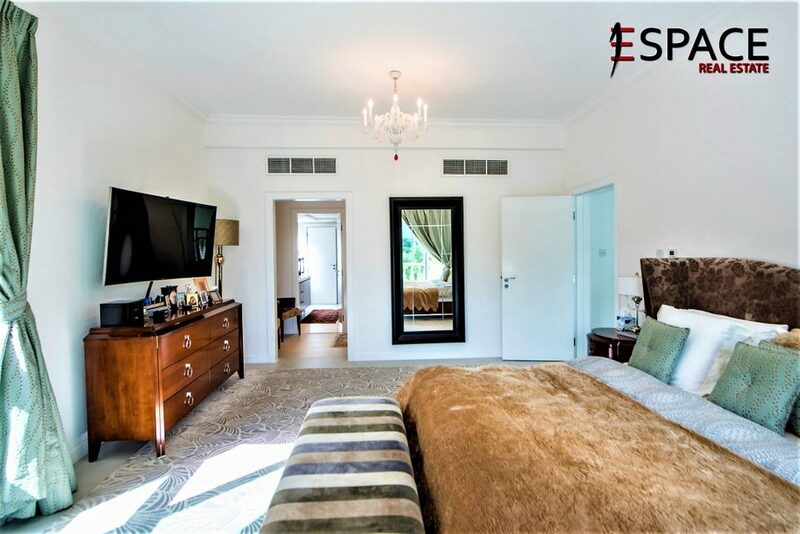 All this could be yours for a price of AED 8,199,950 and the best part is, Espace Real Estate is also offering financing options on this property. Jumeirah Islands is not just about luxury villas, green landscaping and cool waterways. The development complements its superb infrastructure with a range of community facilities. These include a supermarket, a clubhouse, a quality restaurant and a gym along with other leisure facilities. In short, Jumeirah Islands offers the perfect environment to people looking forward to living in a chic, exclusive atmosphere away from the hustle and bustle of the city. 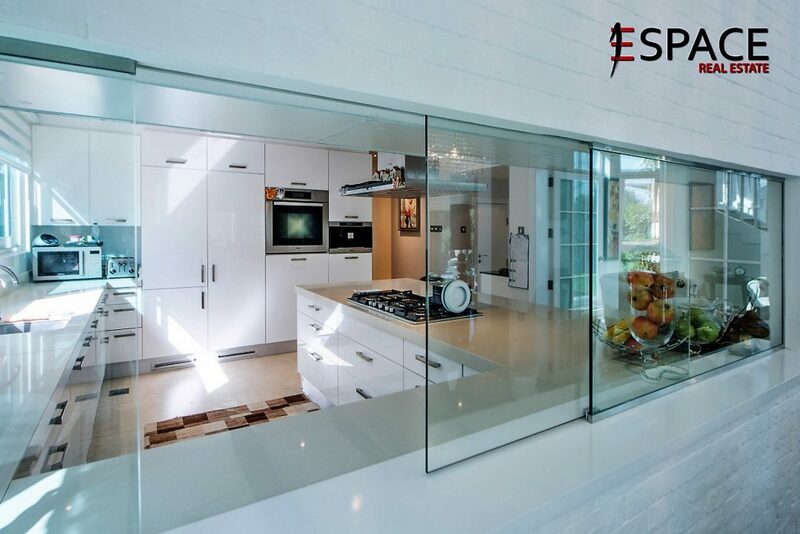 To get in touch with Espace Real Estate and request a property viewing here. 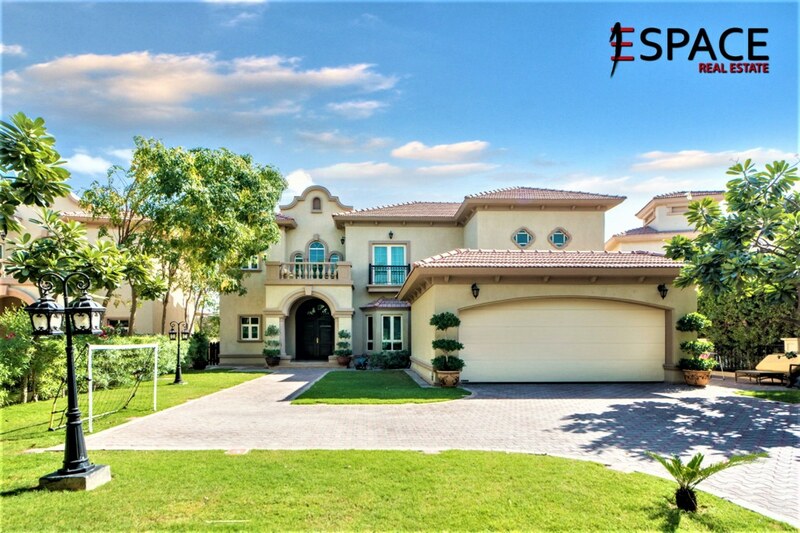 Location: Jumeirah Islands; Bedrooms: 4; Bathrooms: 6; Sq. Ft.: 5300 sqft; Selling Price: AED 8,199,950; Listed With: Espace Real Estate; Property Reference Number: ES-6015. 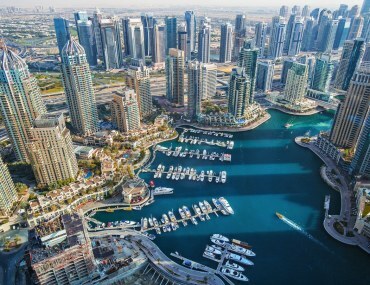 What Will Dubai Be Like In The Future?